A chocolate cake with chocolate chunks & chocolate buttercream. Covered in chocolate icing, chocolate buttercream decoration & chocolate ganache dripping down the edges. 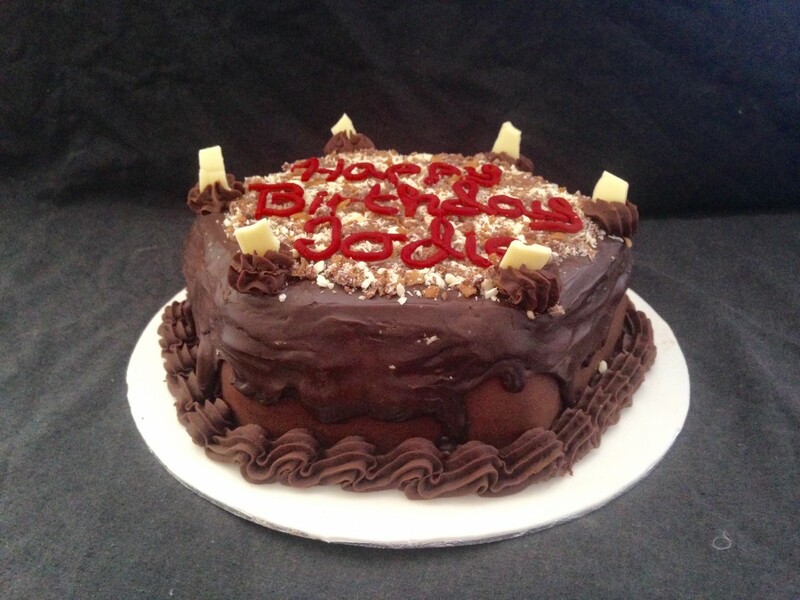 Topped with chocolate buttercream swirls, chunks of white chocolate & a chocolate, hazelnut & wafer crumb plus a birthday message! made for someone who loves…chocolate! !